Glenn Miller, 70, of E. Follett St. in Sandusky, passed away in his home on Saturday, February 2, 2019. He was born on December 3, 1948 in Mississippi to the late George W. Miller and Annie Moss Miller. 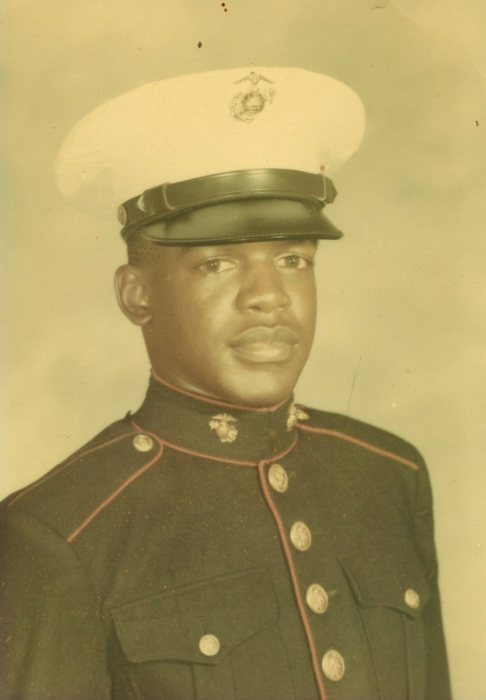 A 1968 graduate of Sandusky High School, Glenn served in the U.S. Marine Corps from 1968-1970. Upon discharge he worked for Chrysler for 22 years, for hotel maintenance at the Clarion Inn, and most recently for area family-owned hotels. A member of Ebenezer Baptist Church, he was also a member of the VFW and American Legion. He loved fishing, golfing, shooting pool, and friends and family. Glenn is survived by his daughter, Brianna Staugh; son, Benjamin S. Miller; sisters, Georgia (Rosevelt) Chander, Dora Childress, Mary Devese, Linda (Ralph) Zimmerman, and Catherine Miller; brothers, Larry, Asa, and Michael (Marty) Miller; and many nieces, nephews, and other loving relatives. In addition to his parents, he was preceded in death by his sister, Brenda Jones; brother in infancy, Alvin Miller; brothers-in-law, Eddie Childress and Melvin Devese; and sister-in-law, Tina Miller. Friends may call from 11 a.m. on Saturday, February 9 until funeral services begin at 12 p.m. in Toft Funeral Home & Crematory, 2001 Columbus Ave., Sandusky. Military honors will be rendered immediately following the service. Condolences may be shared with the family by visiting toftfuneralhome.com.